I know I may be premature but I’m pretty sure I can feel spring in the air. With only a few weeks till the official flower season I made a point to scout my favourite web stores for the best in spring fashion. I’ve lived in jeans this winter, so I really can’t wait to get my legs out and throw on a sweet floral skater frock in the coming months. Note to self: make sure legs are publicly acceptable. What I love about the skater style dress is the fit and flare aspect, it hugs in all the right places and pops out over your stomach and thighs creating shape and movement. This trend has been around for the last few seasons and isn’t going anywhere for spring! Here are my top floral picks for your inner girly girl. I can’t say I’m much of a Taylor Swift fan, but she really knows how to dress like a lady! 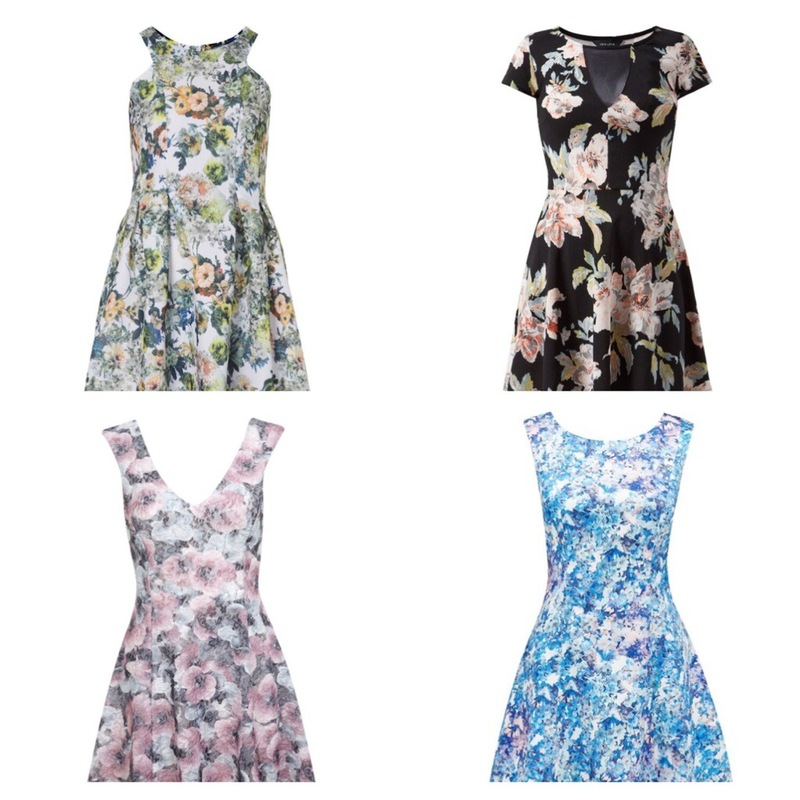 Are you a floral fan?